She must turn around three times and cast over their left shoulder. If on falling the mixture forms a letter this was your sweetheart and if it fell apart dead would happen! Was it worth doing I wonder…a cake would be better! I’ll find a way to make them dee (die). It froze the birds’ nebs to the trees. The bringing of bad weather may seem a little confusing at first but in Ireland a local legend was established to explain it. It is recorded that the old Brindled Cow or An tSean-bho Riabhach, made the claim that the bad weather of March could not even kill them and so it borrowed three days from April. And the month used these days to kill and skin the poor cow. using these extra days with redoubled fury, killed and skinned the poor old cow. Interestingly this time around it the first days of April which are seen to be unpleasant as a result! 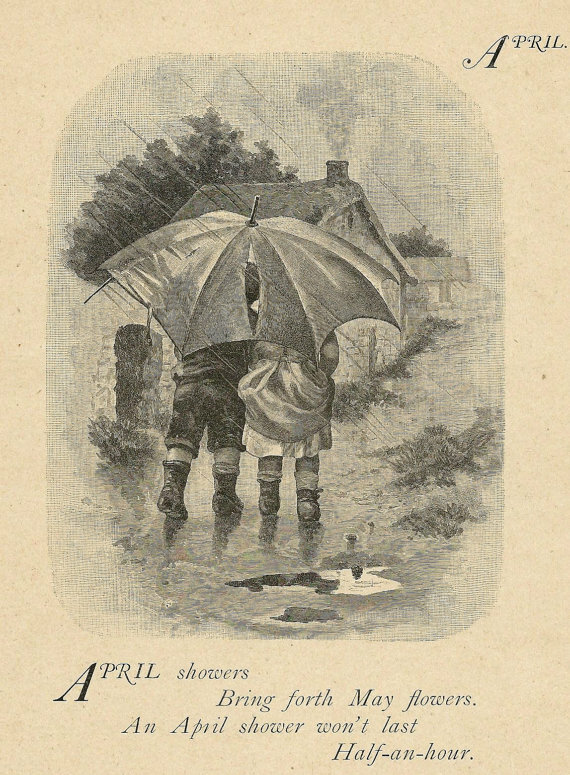 However, I feel that the commentators are missing a point – April is famed for showers – and has a write this the days running up to the 29th are warm and fine, ironically rain and storms came in as the 29th came in…April weather! Now a lost site, it is possible and indeed likely that the site now called St. John’s Well in the village is the same site considering its connection to midsummer. In the parish of Stenness, Orkney local people would bring children to pass around it sunwise after being bathed in the Bigwell. A similar pattern would be down at wells at Tillie Beltane, Aberdeenshire where the well was circled sunwise seven times. Tongue’s (1965) Somerset Folklore records of the Southwell, Congresbury women used to process around the well barking like dogs. 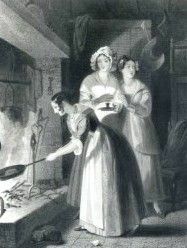 Whether the well itself was the focus for the festivities or the festivities were focused around the well because it provided water are unclear, there are surviving and revived midsummer customs which involve bonfires and general celebrations but no wells involved. The only custom, revived in 1956, which resembles that of the midsummer well visiting is Ashmore’s Filly Loo. This is the only apparent celebration of springs at Midsummer is at Ashmore Dorset where a local dew pond, where by long tradition a feast was held on its banks, revived in 1956 and called Filly Loo, it is held on the Friday nearest midsummer and consists of dancing and the holding of hands around the pond at the festivities end. This unusual site may indicate the longer and deeper associations of springs and midsummer than is first supposed…or antiquarian fancy. Nowadays if you visit these wells at Midsummer you will find yourself alone…but in a way that may have been the way it had always been.